When three of your foodie friends all rave to you about the same ‘great place’ in the space of a month, you know it’s worth checking out. 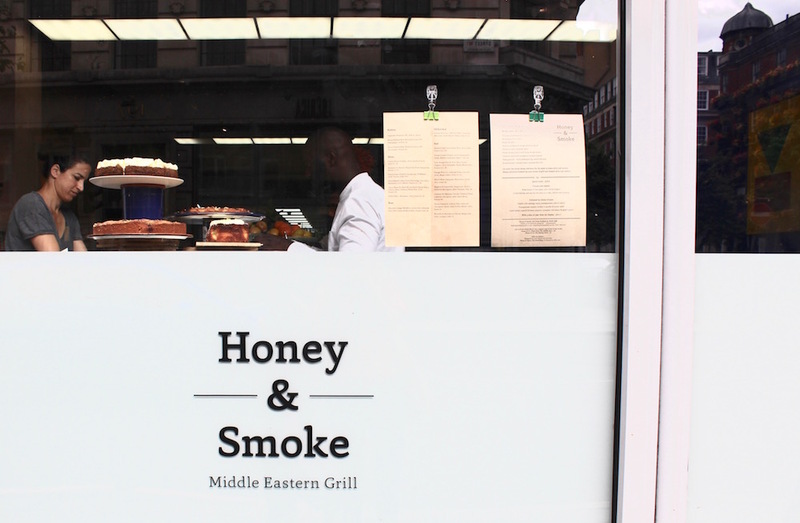 Honey & Smoke on Great Portland Street is the latest offering from the Israeli husband and wife team behind popular Honey & Co in Fitzrovia. 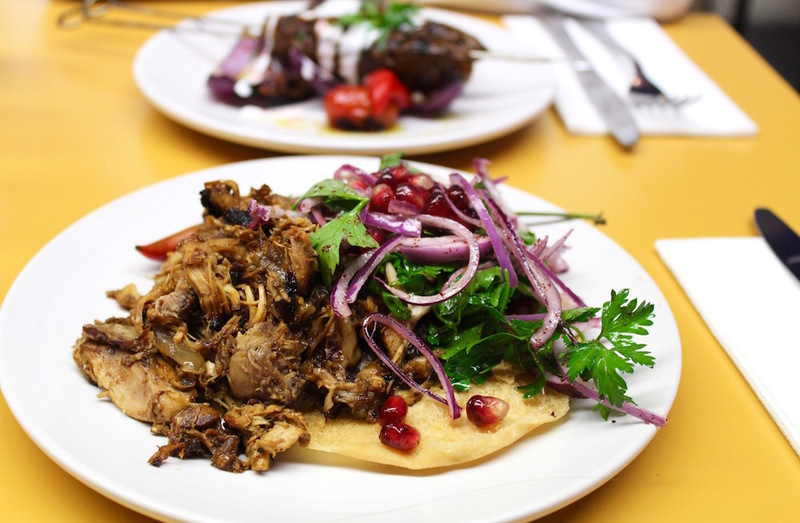 The pair previously worked as chefs under Yotam Ottolenghi and have since gone on to forge their own style of bold, flavoursome Middle Eastern cuisine. Unlike the original ‘Honey’ with its intimate cafe like feel, the new Honey and Smoke is spacious, with high ceilings and bold paintwork. 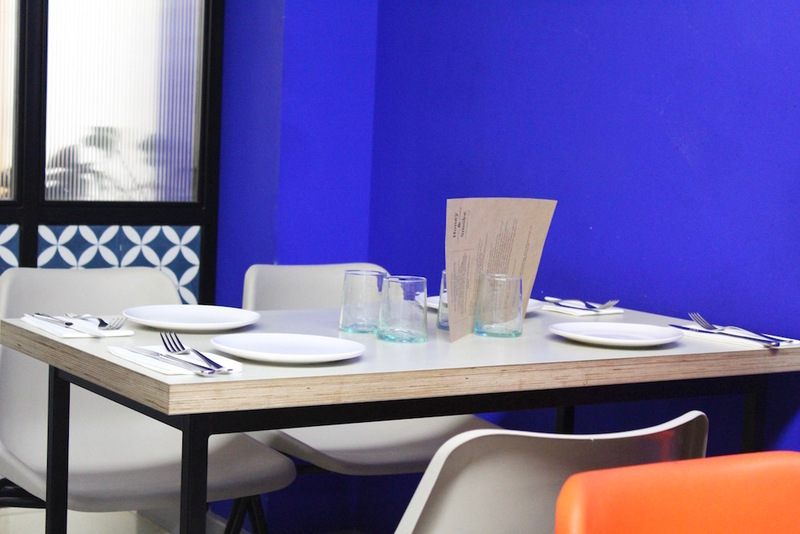 The decor could be described as basic, a little like an office canteen, and from the plain frontage outside you might be forgiven for walking straight past. 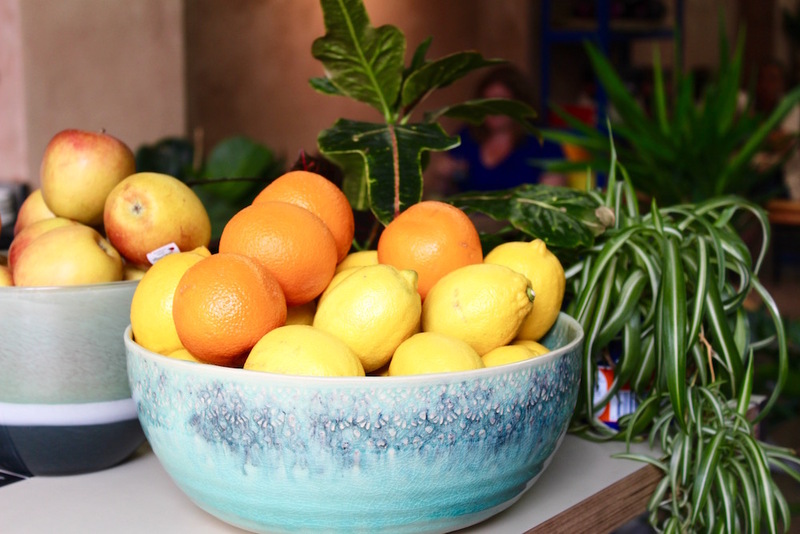 But if you make it inside, a quick glance at the plates streaming out of the open plan kitchen tells you that the food here is anything but ordinary. 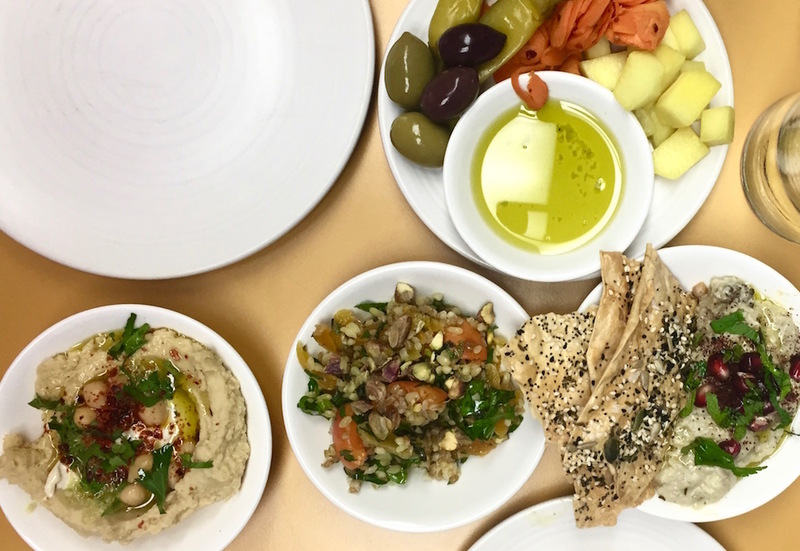 The menu is packed full of mouth watering mezze dishes, too many to choose from. But for a very reasonable £20 per person you can order the entire mezze selection which is exactly what we did. It was all delicious even down to the moroccan sourdough and pickles. 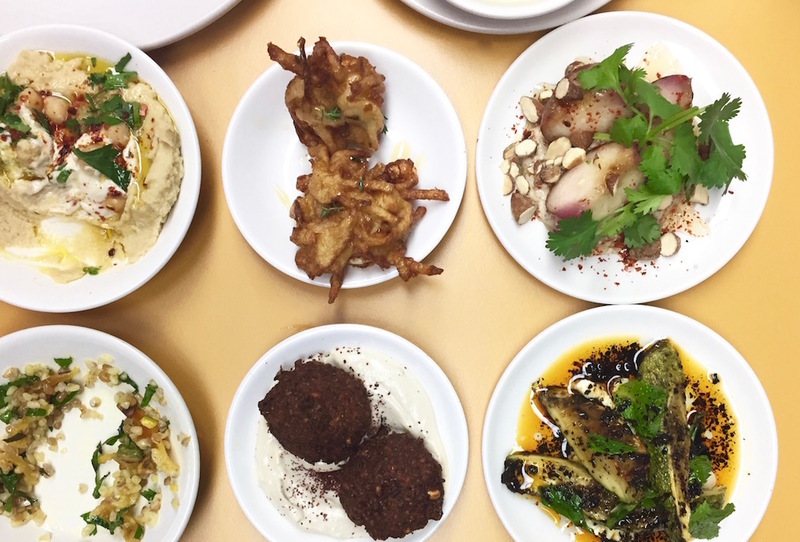 We particularly loved the crispy Falafel and tahini, the tabuleh with apricot pistachio and orange blossom with charred courgettes, and the potato and feta fritters with thyme and raw honey. Unfortunately we ran out of time and room for desert but the homemade cakes in the window looked equally delicious. 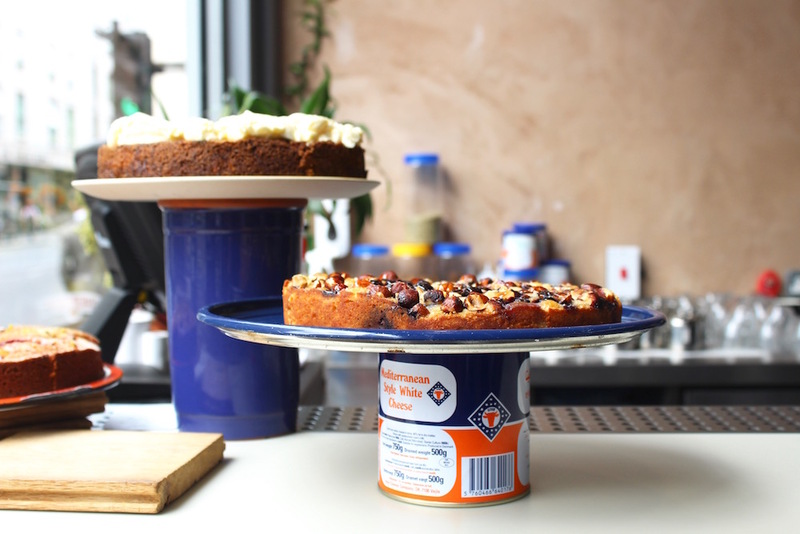 We will definitely be back again for a slice of their famous feta and honey cheesecake. Thankfully bookings are now being taken as both restaurants are consistently busy. Lunch is served from 12 noon till 4pm Tues-Sat. Dinner is served from 5:30pm Tues-Sat.